Dope album from 1/3 of the Lootpack Crew! Wildchild spits fire and Madlib, KanKick and Wilchild hold everything down when it comes to the beats. 1 produced by KanKick. 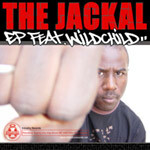 2 produced by Wildchild. 3,4,5,6,7,8 produced by Madlib.